It's interesting how some recoil at the idea of implanted wearables. Cochlear implants have been around since the 1980s, contraceptive implants since the late 1990s and a plethora of implanted devices have been keeping people alive and improving quality of life for a long time from hip replacements to pacemakers. As wearable devices get smaller it's a small stretch of the imagination to envisage a time of subcutaneous (below the skin) devices and products to be monitored outside of the body. In this article I intend to take a look at how the future might look. 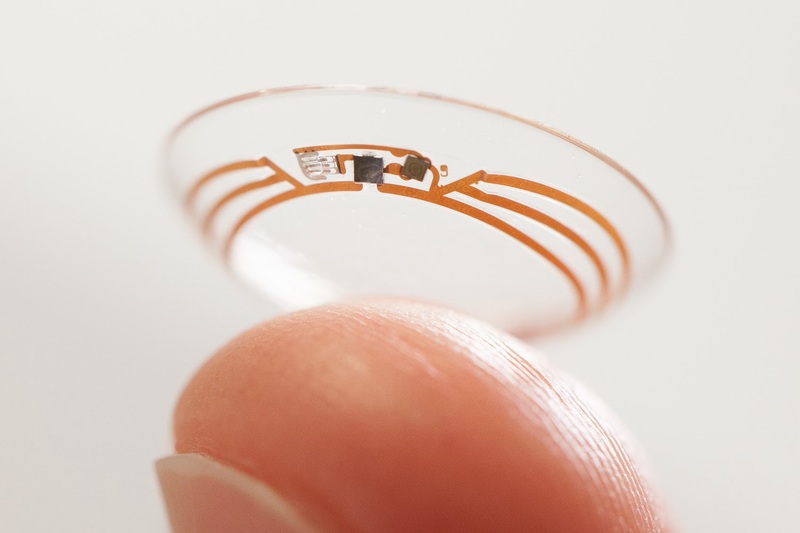 In 2014 Google X undertook testing into diabetes management, developing a smart contact lens designed to measure glucose levels in tears using a wireless chip and miniaturized glucose sensors embedded between two layers of soft contact lens material. The intention was to generate a reading once per second with LEDs that could illuminate to show that glucose levels have crossed above or below certain thresholds. Multiple clinical research studies has been undertaken and partner Novartis hopes to market the product within five years. Start up Innovega has been working for a number of years on an augmented-reality contact lens prototype that puts transparent data from a smartphone or computer directly into a user's field of vision. 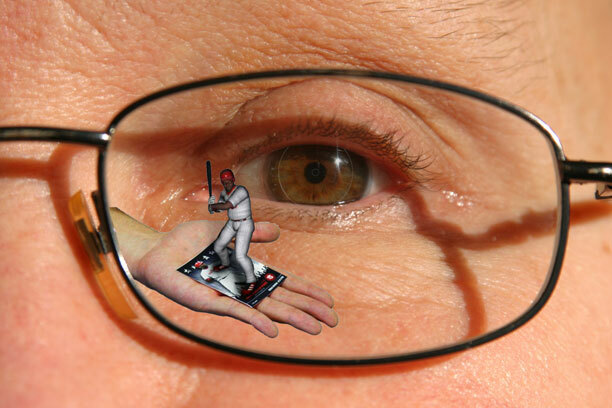 When paired with the company's modified eyeglasses, the lenses allow users to focus on a high-tech display in their peripheral vision. The contacts have financial backing and the company is waiting for FDA approval to take their product to market. You can learn more about the science behind their contacts in this YouTube video. Their biggest challenge will perhaps be convincing people who don't like putting their fingers in their eyes to give them a try. October saw the world's first wireless pacemaker (WiSE) accepted in both the EU and US. Wireless Stimulation Endocardially (WiSE) consists of an electrode implanted in the left ventricle. With every heartbeat it receives a synchronized ultrasound signal from a small transmitter placed between two ribs. The sounds waves are converted to electrical energy, providing cardiac pacing. The technology eliminates the need for a left ventricular lead and is designed to let the doctor place the stimulation point at an optimal, patient-specific location inside the left ventricle. The accessibility of the artificial heart becomes closer as French company CARMAT has successfully transplanted the first biocompatible, auto-regulated total artificial heart at their third attempt. It's worth noting that Carmat's first transplant patient, a 76-year-old man, died in March last year, two-and-a-half months after his operation and the second died after the artificial heart malfunctioned due to a fault with one of the controls in its motor, making the notion of a full artificial heart still a risky practice. Research into brain based disorders has lead to treatment like Vagus nerve simulation to treat severe epilepsy. Psychiatric neuro-technology researchers are focused on Transcranial direct current stimulation and Transcranial Magnet Stimulation to treat conditions like chronic pain, pharmaceutical resistant depression, fibromyalgia, OCD, Parkinson's, and schizophrenia. It's foreseeable to envision a time when other parts of the brain are better understood and implants are at the forefront curing a range of brain disorders. Some speculate that implants to improve memory and intelligence could be closer than we think and offer opportunities for developers looking for a new challenge. Ever lost your keys? Sick of having to remember the photo copier code at work? 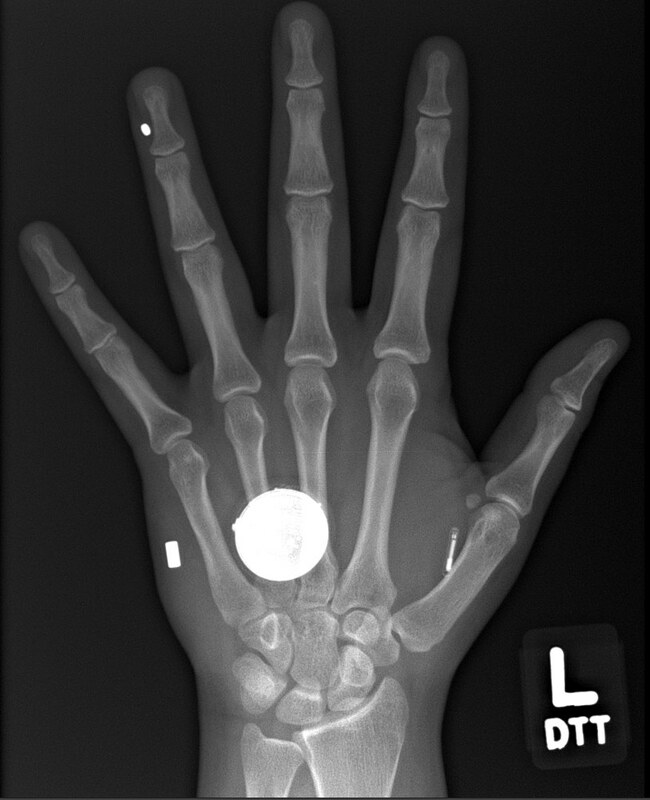 At Swedish tech company Sime in 2014, employees had the opportunity to test out a RFID chip the size of a grain of rice implanted into their hands, encoded wth information to enable them to unlock doors and uses office printers with a swipe. This convenience is compelling. A device of this size would be easy to remove in the case of malfunctions or infection but I'm curious how often it would need to be upgraded. How far would you go? Cashless transactions? Forgoing the need for a signature? How easy would implants be to steal and trade on the black markets of the future? Search the internet and you'll find a large group of individuals engaged in biohacking, a form of self-health monitoring which aims to take the expertise out of the hands of health professionals and into the hands of individuals and wearables are a big part of this. At one end of the spectrum are straightforward tools to measure sleep and heart rates. At the other end are a range of self tested body tools and regulators like implanted biomagnets that can used to pick up small items. A magnet sounds ridiculous until you consider the advantages for people with poor hand control. Enthusiasts call themselves Grinders and gather at conferences and forums to share information and resources. There's a plethora of tutorials and videos (some not recommend for watching during lunch) and no shortage of people willing to extend the capabilities of their bodies. …the possibility of implanting technology in the body and will pave the way for more advanced and functional augmentations. rechargeable device that adds gesture recognition and Bluetooth capabilities, enabling users to control electronic devices with hand movements, as well as add patterns or color variations to LED. It's easy to get caught up in the novelty elements of biohacking, but it could be a matter of time until these experimental procedures become accepted medical practice. If the notion of an implant, however small, seems far too uncomfortable, there's also Project Underskin, a collaboration between Fast Company and New Deal Design (the designers of Fitbit) to create a smart digital tattoo implanted in your hand that can interact with everything you touch. It can unlock your front door, trade data with a handshake, or even tell you if you have low blood sugar. 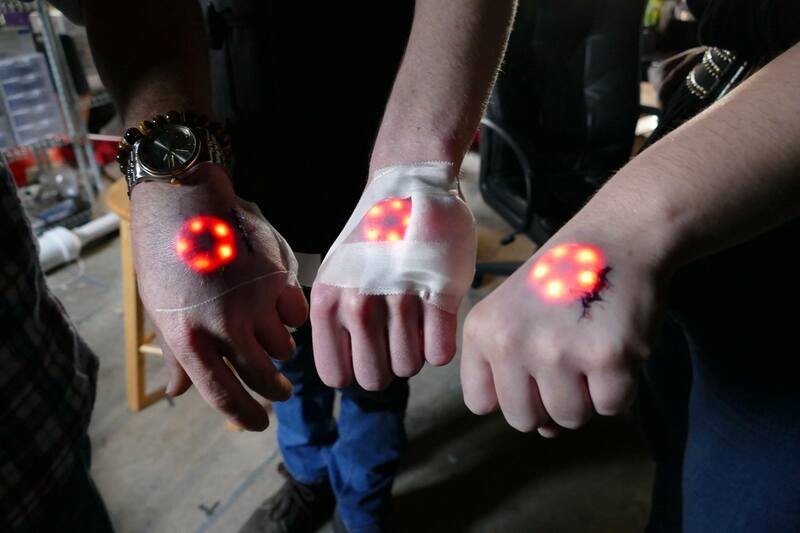 New Deal Design believe Project Underskin could be ready within five years and are already planning a second tattoo which will monitor vital statistics and be placed on a wearer's palm. In thinking about the future of wearables, I'm most interested in opportunities which move beyond seeing the body as a 'human handbag' and concentrate on improving the lives of individuals, whether through preventing, predicting or treating illness or other ways to make living better. R&D can be slow due to myriad of ethical and legal issues, but progress is coming.